In their 1990 book, A Non-Random Walk Down Wall Street, Andrew Lo and Craig MacKinlay document a number of persistent predictable patterns in stock prices. One of these "anomalies" is variously known as lead-lag or serial cross-correlation, and it says that the returns of larger, more liquid stocks tend to lead the returns of less liquid small-capitalization stocks. Lo and MacKinlay showed that the degree of lag is greater than what could be explained by the lower trading frequency of small-cap stocks (nonsynchronous trading). A 2005 working paper by Toth and Kertesz claims to show that the lead-lag effect has "vanished" over the past 20 years. Meanwhile, other anomalies documented at the time, such as long-horizon overreaction (first documented by DeBondt and Thaler (1985)), appears to be alive and well (see McLean (2010)). Why do some anomalies persist even decades after they are discovered while others have seemingly been arbitraged away to nothingness? What is it about those anomalies that are still around so many years later that prevents them from being arbitraged away? Conversely, what is it about the short-lived anomalies that made them so fragile? Note: This post was inspired by a a blog post, Of Hurricanes and Economic Equilibrium, although I do not agree with the author's conclusions. Bounty update: As promised, I created a new bounty for RYogi's answer, which is "exemplary and worthy of an additional bounty". It will be awarded shortly, as the system requires some lag time until the bounty is awarded. Feel free to add your own up-votes to his answer in the mean time. A very conservative stand is to distinguish between anomalies and arbitrage opportunities. Roughly speaking, while an arbitrage opportunity is risk-free by definition, an anomaly allows for unaccounted risk factors. It is the magnitude of these unidentified risk factors that might determine the long term persistence of certain anomalies. A good starting point is the "limits to arbitrage" entry in Wikipedia. This literature has developed to cover several aspects. I can provide more references and examples if needed. EDIT: following Tal's comment, here are some more details. The first comment is the model matters. 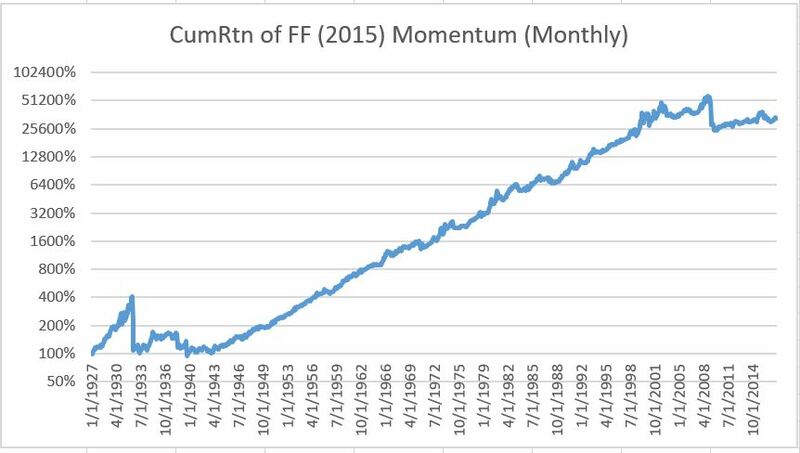 Short run momentum (1) is an anomaly for the CAPM, but maybe not so much for Kyle's Model (Econometrica 85) sequential trading model. Resolving (1) within CAPM requires explaning why recent upward performance renders an asset riskier and more correlated with consumption. The second comment is that unexplained is a keyword in (6). 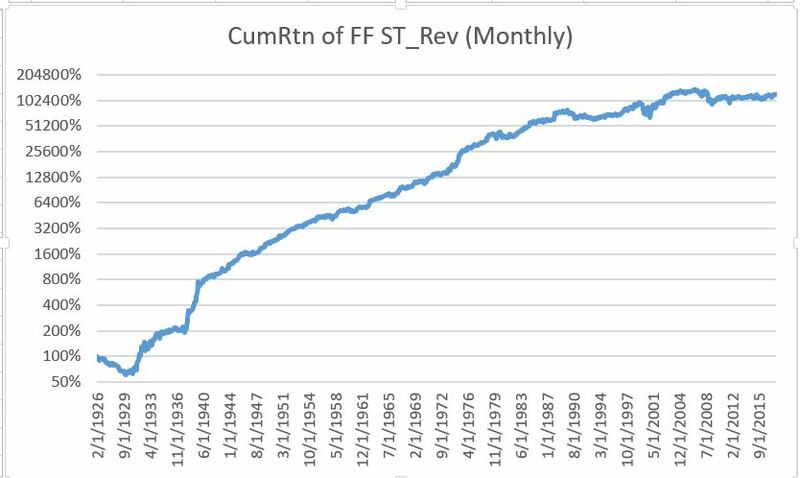 There is nothing anomalous with outsized returns here, it is the risk-adjusted returns that should be inline with the risk free rate. The third comment is that anomalies are not the same as arbitrage opportunity. To classify as an arbitrage, a portfolio has to be costless and riskfree. While anomalies might look like arbitrage opportunities, they are not: arbitrage opportunities are a particular kind of anomalies. Therefore using "arbitraged away" when referring to anomalies is a misnomer and can create confusion. Back to the question: Why do some anomalies persist while others fade away? An anomaly that persists might have unexplained risk that distinguishes it from an arbitrage opportunity. For example: fleeting instances of mispricing across different trading venues might persist because of latency risk. An anomaly might persist because there are limits to arbitrage: arbitrageuers face borrowing constraints, computational constraints, attention constraints, informational constraints etc. Often the word constraints above can be replaced with costs, and the categories I listed overlap. Very good question! I think part of the answer lies in the structure of the financial industry. Some anomalies have a certain kind of structure which cannot be exploited by the players that are big enough to let the anomaly disappear. I would put e.g. the Turn-of-the-month effect (TOTM) into this category since big funds just can't turn their whole portfolio every end of the month. It would be interesting to see if there is a certain correlation between the persistence of anomalies and structural issues in the industry. Joel Greenblatt's "magic formula" is similar in spirit to classic value styles. He has a discussion of why he thinks it will continue to work (despite it's simplicity and public knowledge) around p. 73 in his Little Book that Beats the Market (see http://books.google.com/books?id=M5HxYZaNQEQC&lpg=PA68&dq=continue%20to%20work%20magic%20formula&pg=PA73#v=onepage&q=continue%20to%20work%20magic%20formula&f=false). The basic argument seems to be that it doesn't always work so institutions with annual performance mandates who would be most likely to make the anomaly go away would be less likely to follow the approach. It's a kind of patience arbitrage argument, i.e. there are excess returns available to those who are patient. This argument may apply more generally. Investing in Stock Market Anomalies by Bali, Brown, and Demirtas (2011) addresses some of my questions. I will read this paper and report back on my findings. In the stock market, successful companies are the most innovative ones (esp in biotech, tech) so their individual market is new and their individual market has not been arbitraged away by competitors and governments. Therefore upcoming competitors are going to be as optimistic and correlated to the market leaders. Just from trading shares and financial derivatives, you and the other traders will not be affecting the underlying book value of that market's assets. anomalies like arbitrage tend to disappear once exploitation increases, once an anomaly is published if the underlying process is stationary it will get exploited, if it is non-stationary it will cease to be observed. What about anomalies that are not published, I guess we could use the analogy of the malingering employee who skips work to play golf, lands a hole in one and has no one to tell it to. If you have an exploitable anomaly that has remained that way for a long time, this is your forum. There are a lot of good answers on here, but I can't help but to add my 2 cents. ...is related to a recent paper by McLean and Pontiff (2015), who argue that certain stock market anomalies are less anomalous after being published. Their paper tests the statistical biases emphasized in Leamer (1978), Ross (1989), Lo and Mackinlay (1990), Fama (1991), and Schwert (2003). My views on the transience of anomalies was recently influenced by a meta-analysis by Hou, Lu, and Zhang (2014). The authors categorize anomalies as follows: (i) momentum; (ii) value-versus-growth; (iii) investment; (iv) profitability; (v) intangibles; and (vi) trading frictions. Hundreds of papers and factors attempt to explain the cross-section of expected returns. Given this extensive data mining, it does not make sense to use the usual criteria for establishing significance. Arbitrage opportunities: True arbitrage opportunities tend to be fleeting due to the fact of arbitrage. Informational asymmetries (i.e., "I know better") can persist, but also tend to dissipate as others catch on. Assumption of risk: According to the strong and semi-strong forms of the efficient market hypothesis (EMH), long term returns are attributable to the assumption of risk. Early on, idiosyncratic volatility and market beta were used as proxies for risk. While these primitive notions of risk emprically failed to produce excess returns, there are other kinds of risks for which investor can reasonably expect compensation. In my opinion, it is unequivocal that size and value premia can be attributed to risk. (Stubborn) cognitive errors: For example, there should be no profitability anomaly. While we should expect that highly profitable companies would be more efficient capital compounders, an efficient market should discount the present value of future profits into price. Moreover, profitability is inversely linked to distress, and therefore inversely related to risk. I.e., an efficient market should actually recompense holders of less profitable companies for the assumption of risk. A plausible explanation is that investors persistently underestimate the effects of long term capital compounding. But while there may be a number of plausible cognitive biases which contribute to certain types of anomalies, I am not aware of any means by which to falsify behavioral explanations. Alas, I continue to justify my use of them by telling myself that some cognitive errors are more impervious to data and logic than others. Not the answer you're looking for? Browse other questions tagged equities research reference-request anomalies or ask your own question. Why are we obsessed over normalizing financial data?